The Lights of Life 2018 is an annual tradition that was started by Life University and dates back to 1989. Talk of the Lights of LIFE spread quickly, given the location, quality and low cost. It has now grown to be one of the most popular light shows in the Southeast, attracting nearly half a million spectators from the surrounding region. 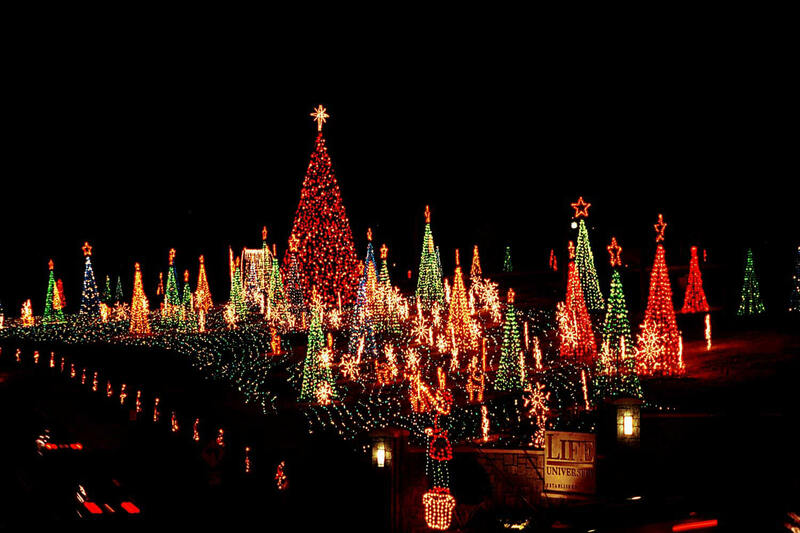 Cars, vans and buses cruise through the spectacularly illuminated campus each year, often stopping along the 1.5-mile drive to enjoy an array of seasonal entertainments. The Lights of Life 2018 event runs every night from Thanksgiving, November 22nd through New Years Eve, December 31st. The Lights of Life 2018 is held on the the campus of Life University (1269 Barclay Circle off Hwy 41 just north of Dobbins AFB, Marietta) just north of Smyrna Vinings from 6pm to 10pm Friday, Saturday and Sunday and from 6pm to 9pm on Monday to Thursday. Click here to learn more about Lights Of Life 2018.